With improved performance and power efficiency, the new Intel Pentium processors are an excellent choice for the home or office PC. The new Intel Pentium processors provide you a reliable PC solution that can handle all of your everyday computing needs. With the capabilities of Intel’s newest micro architecture and 14nm process technology, new Intel Pentium processor-based PCs offer solid performance to run applications such as web browsing, HD video steaming and productivity software simultaneously and efficiently. The new Intel Pentium processors offer great performance that end users can experience and appreciate. With the power and features of the new Intel® 200 Series chipset, this platform provides more high bandwidth I/O interfaces with increased flexibility, including support for the latest DDR4 memory technology and premium 4K content. Intel Hyper-Threading Technology (Intel HT Technology) is now available on the new Intel Pentium processors. Thanks to Intel HT Technology, your PCs can improve productivity by doing more simultaneously without slowing down. Intel HD Graphics makes casual game play snappy, enables smooth video streaming for all your online entertainment, and gives you enhanced video chatting for more personal online interactions with friends and family. 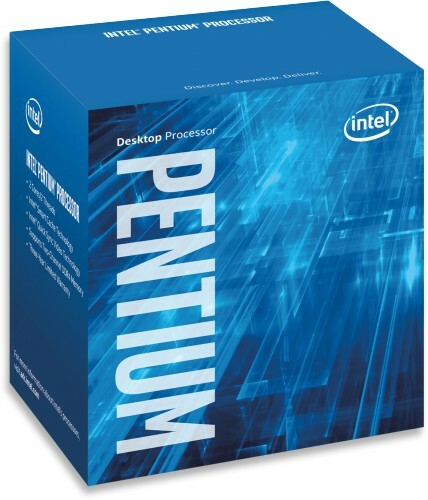 The new Intel Pentium processors are also compatible with both Intel® 100 series and 200 series motherboards.